Mrs. McDermand graduated from West Brook High School in Beaumont, TX in 2000. She graduated from Lamar University in 2004 and received her masters in Educational Leadership in 2013 also from Lamar University. She has taught at Beaumont ISD and Nacogdoches ISD (grades Kindergarten-6th) and is so excited to be a Wildcat! Mrs. McDermand is married to Dr. Rob McDermand (Associate Athletic Director of Academics for Stephen F. Austin State University) and has 2 beautiful boys, Robert (age 4) and Reid, who was just born at the end of June! She also has two fur babies, Jeeves and Bates that she rescued from the Humane Society. 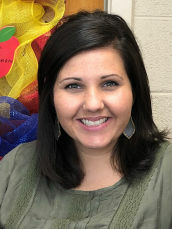 Mrs. McDermand is in the Nacogdoches Junior Forum, The Nacogdoches Heritage Festival princess committee, and is the Children's Committee Chairman and Sunday School teacher for her church, First United Methodist Church in Nacogdoches. Mrs. McDermand loves traveling, is passionate about animals, and loves being with her family and participating in all they do! Happy New Year Wildcat families! We are all excited to have the students back filling our classrooms and hallways with energy and enthusiasm for learning! It is so nice to be able to spend time with our friends and family and come back feeling refreshed and ready to go! The next few months will be very busy as we work towards excellence! Testing season will be upon us very soon. I am very confident in the great teaching and the eagerness to learn by our students. We will have another successful year here in Mount Enterprise! We have a lot planned for this semester and I am excited to be a part of it! As always, my door is always open and I welcome all parents. I wanted to personally thank all of you for an amazing first few months in this district. So many of you have been so kind and gracious and I truly feel like part of the Wildcat family! Please let me know how I can serve you! For information about bullying, click here. To file a complaint or grievance, click here.